Not of this earth. That’s what divine is! It’s almost as if the powers that be set aside these treasures for a handful of humankind (quite literally). Gemstones like these natural blue sapphires from the top lot Abhijay 2012, are nothing short of a miraculous creation. Crème de la crème of the gem world, this lot incorporates four natural and treatment free super premium blue sapphires from Sri Lanka. The gems score superbly on the 4C’s. Masterful handiwork of the cutter is palpable along with magnificent color with rich hue, medium tone and uniform spread of color. 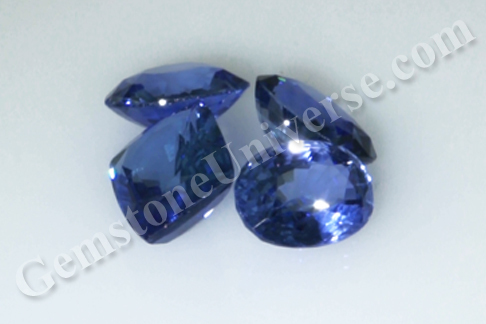 These blue sapphires have excellent clarity and electric lustre. The fine work of cutting and faceting these gems allows light to play brilliantly and bring out the best color. Natural blue sapphire or neelam gemstone is there a gem of Lord Saturn/Shani. It is the jyotish rashi ratna for the Zodiac signs of Capricorn and Aquarius. The weight if these gems a big factor that adds to the value of these gems and takes them into the exclusive bracket. A coveted jyotish weight of 3.6 – 5.52 carats is what generates real interest. 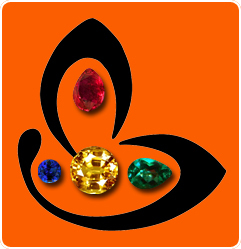 Jyotish quality gems are at the top of the gem pyramid. High quality gems such as these not just remain a thing of beauty but become smart investment options that will always deliver more on value. This small lot of high value natural blue sapphires is a great offering for the connoisseur and/ or the smart investor looking at escaping the disappointing performance of dollar as well as the yellow metal!